Here are some exciting games, including old favorites and others that might be new to you. They’re fun for kids of all ages. Amish artisans handcraft each item from the finest wood. So you can expect them to provide years fun and laughter in your household. This Aggravation Game Four-Six Players is a perfect choice for family fun night! 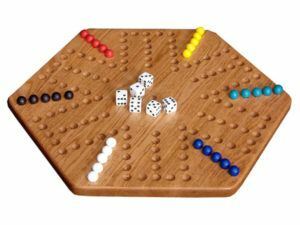 Aggravate your friends with this Aggravation Game Large Four-Six Players solid wood game. 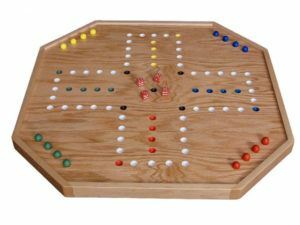 This Aggravation Game Three-Four Players is a great game to keep in your game room. Everyone will enjoy playing it when you come over. Add this solid hardwood Chinese Checkers game board to your collection. 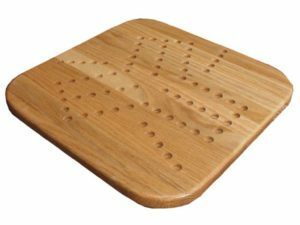 Enjoy an intriguing old fashioned game of Connect Four with these beautifully made pieces. Amish Games by Brandenberry Amish Furniture give you a unique opportunity to acquire activities that bring back the fun and challenge of players interacting with each other up close and personal. So here’s a great opportunity to buy some old favorites. Like Checkers, Chinese Checkers and Chess. 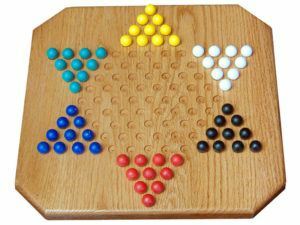 Or you might like to try the less familiar Aggravation or Connect Four Game. And kids of all ages just can’t resist the Marble Roller. Amish craftsman handcraft each item from the finest wood. In fact, they often use indigenous hardwoods, since they are extremely durable. So you can count on these acivities to provide countless years of enjoyment. Plus, the games will stay in fine condition long enough to be passed on to the next generation.